Philadelphia: American Sunday School Union 54pp. Circa 1840's. Bound in original cloth backstrip with marbled paper covered boards. 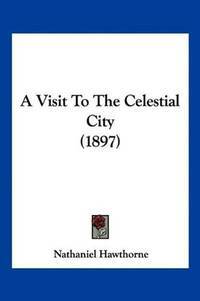 I find one bibliographer online who claims this as an 1843 printing and third in the list of separate printings, apart from religious periodicals of the day (http://blog.celestialrailroad.org/2009/09/current-bibliography/). Originally published in 1843 and written by the great American author, Nathaniel Hawthorne. The original title was, "The Celestial Rail-Road". The concept is a revisiting of Bunyan's road to the Celestial City by way of rail-road which easily glides over places like the Slough of Despond, making the pilgrimage easy. The narrator says, "By the aspect and demeanor of these persons [the passengers] it was easy to judge that the feelings of the community had undergone a very favourable change, in reference to the celestial pilgrimage. It would have done Bunyan's heart good to see it. Instead of a lonely and ragged man, with a huge burden on his back, plodding along sorrowfully on foot, while the whole city hooted after him, here were parties of the first gentry and most respectable people in the neighborhood setting forth cheerfully towards the Celestial City, as cheerfully as if the pilgrimage were merely a summer tour" (pages 10-11). Interesting commentary on the change in Christianity (for the worst) in the 1840's. It makes one wonder what Hawthorne (or his revisers) would have said about today's version of the Christian pilgrimage. The true first edition is listed in Ahearn's "Collected Books" for $5,000 in 1991 (would be worth considerably more today). For a thorough biography of Hawthorne, see the DAB, vol. VIII, pages 424-429. Corners bumped. All edges rubbed through. Spine tattered and repaired with acid-free binding glue. Foxed. A label appears to have been removed cleanly from the front pastedown, leaving a "ghost". No previous ownership inscriptions. Size: 16mo - over 5¾" - 6¾" tall. Revised Edition. Paper Covered Boards. Good/No Jacket. Book. Kessinger Publishing, LLC, 2009-09-24. Paperback. Used:Good. Kessinger Publishing, LLC, 2009-09-24. Paperback. Good.